Do you know if you see colors properly? 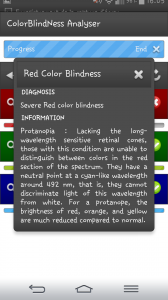 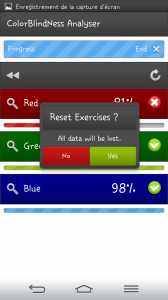 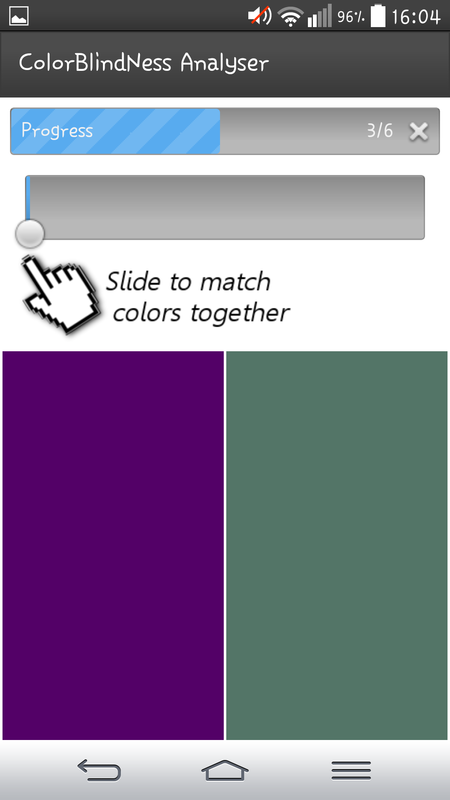 ColorBlindness Analyser is the only application to offer an analysis of your color vision. 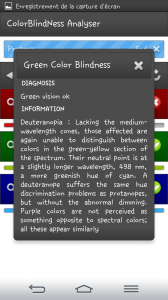 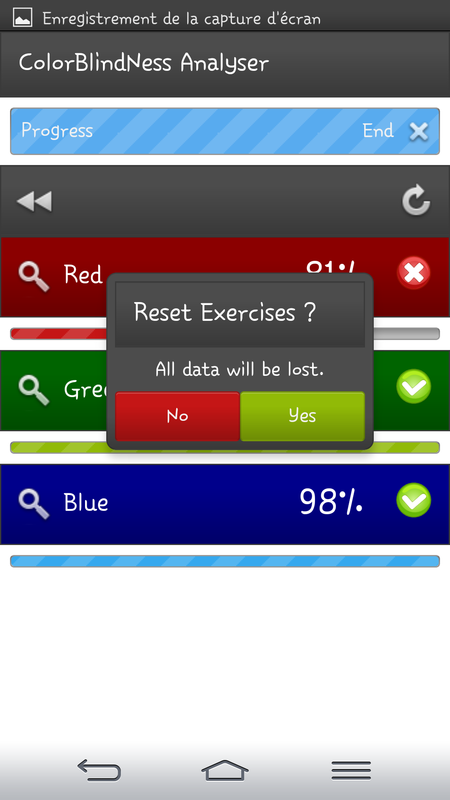 The test consists of six exercises testing red, green and blue color vision : move a slider with your finger to match two colored areas together. 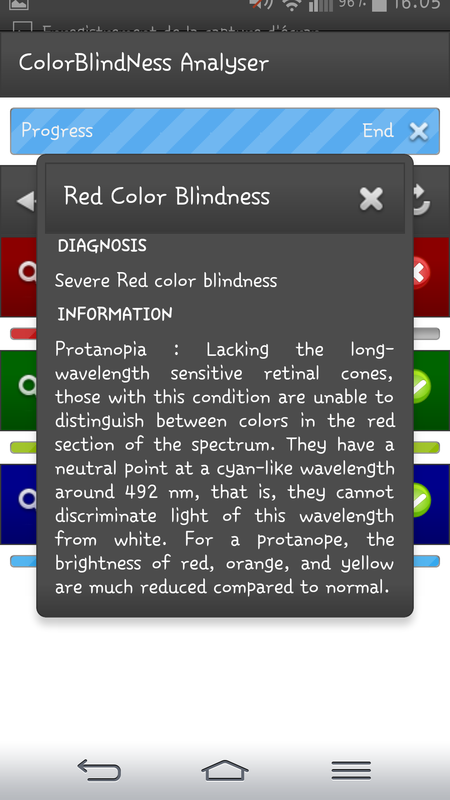 The results are then processed to give a precise diagnosis (protanopia, deuteranopia, tritanopia) of your color vision. 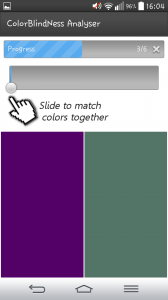 Each primary color is graded on a scale from 0% to 100%.